The former musical biography of Hugh Davies is worthy of a legend: the 58 year-old from London was an assistant of Karl-Heinz Stockhausen for a long time in the 60's. He was the successor of the famous Stockhausen dissident Cornelius Cardew. When he returned to England at the end of the 60's, he jumped into the eye of the typhoon. In Europe the improvised music emancipated itself from New Music and from Free Jazz. From 1968 to 1971 Hugh Davies played with the group that most resolutely represented the non-idiomatic, "instrumental" music of the British: the Music Improvisation Company. His comrades-in-arms were Derek Bailey, Evan Parker and Jamie Muir. Peter Brötzmann grabbed Davies in his trio with Han Bennink and Fred van Hove for a short period of time. They even gave a legendary concert with Don Cherry. The quartet, however, was not recorded at the time. For Jost Gebers, organizer of the concert and producer of FMP, this concert was a good reason to record him. 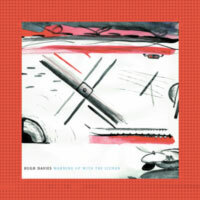 Hugh Davies' first solo record appeared then on FMP. That was in 1981. Warming Up With The Iceman is his second. In the meantime, Davies has continued to work as an improviser (among others with the instrument inventor Hans-Karsten Raecke and in a trio with Roger Turner and John Russell), as a composer, music specialist and historian. Why then is Davies and his music both so sought after and so exotic? It's his instruments. Davies develops and constructs them himself. They are not based on defamiliarizations of present types, but rather they are completely autonomous creations: My Spring Collection, Porcupine, Shozyg and Multishozyg. In fact, they are small, very small wonders of electro acoustics. And they correspond to a way of playing that also goes its own way, with commitment, and stands unique in both new as well as improvised music. Warming Up With The Iceman was recorded in Cologne in the summer of 2001 by Joseph Suchy and also mastered by him. The CD presents compositions never recorded before as well as extensive liner notes by the composer/musician. The history of (improvised) electronic music does not have to be written, but it is far too easy now to simply pass by Hugh Davies.